Built 1887 by the "Ersparniskasse Olten" as their bank headquarters with a concert hall. Opened 22 May 1887. 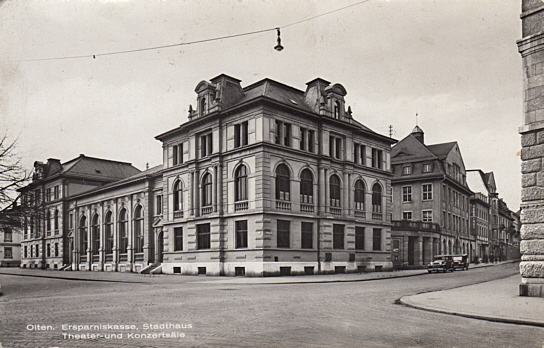 1910-1912 addition of a theatre and multipurpose hall. Opened 9 Nov 1912. Used for touring performances. Front Text: "Olten, Ersparniskasse, Stadthaus, Theater- und Konzertsäle"